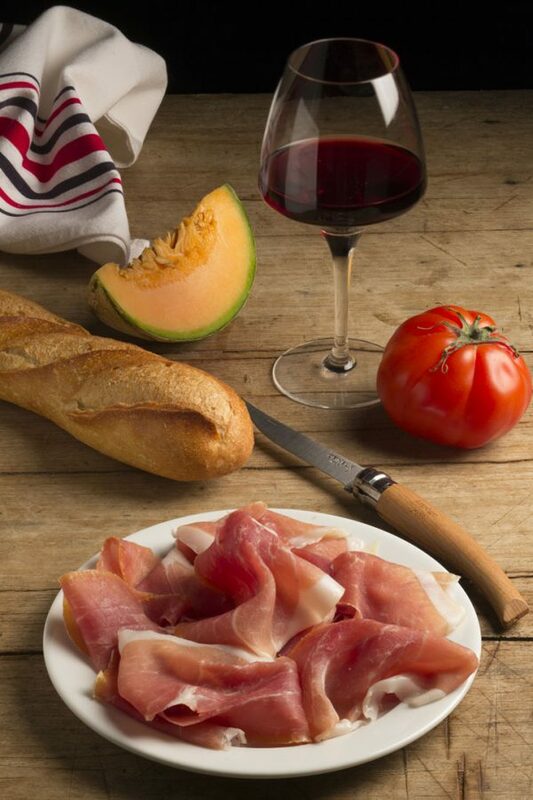 Gastronomic pleasure and balanced diet can be brought together by enjoying Bayonne Ham. 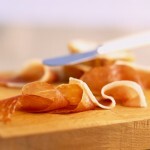 Bayonne Ham is notable for its vitamin B content: more particularly for its exceptionally high vitamin B1 content, of which it is one of the best food sources. Vitamin B1 is an antioxidant and a polysaturated fatty acid. It plays a rôle in protecting cell walls and fighting cellular ageing. A serving of 100g of Bayonne Ham supplies between 70-80% of the daily required intake for an adult. The nutritional aspect of Bayonne Ham as a source of essential fatty acids is too often ignored. The omega 6 fatty acids contained in the fat on a Bayonne Ham are essential to children’s growth and the regeneration of skin. Half the fat in a Bayonne Ham is made up of oleic acid, the main fatty acid in olive oil, which is good for health. Bayonne Ham is quite low in cholesterol, too. Bayonne Ham is an important source of proteins. Its protein content is 23g per 100g. What is more, a 150g serving of Bayonne Ham covers about 45% of the daily protein intake requirements for an adult. Bayonne Ham represents a particularly favourable balance of protein and calories for our health.